Union Metrics Echo is an innovative way to instantly interact with historical Twitter data to find out the what, who, how and when of any Twitter conversation. With Echo, it’s easier than ever to use Twitter data to improve your social strategy and inform your digital marketing efforts. Union Metrics Echo is more than just Twitter search. 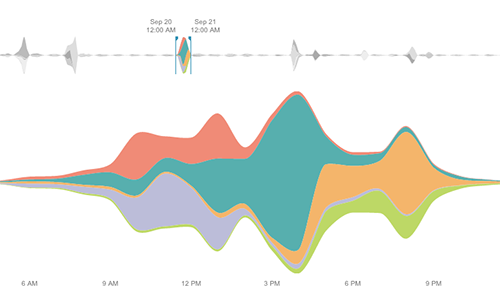 It’s an interactive interface to help you quickly visualize past Tweets. 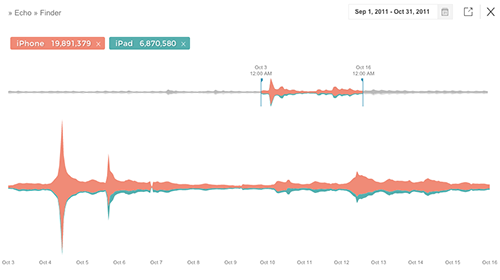 Use it to explore the Twitter archive to learn about the size and content of any past conversation. Echo makes it easy to find exactly the Tweets you’re interested in, helping you discover inflection points and find top posts in a conversation. 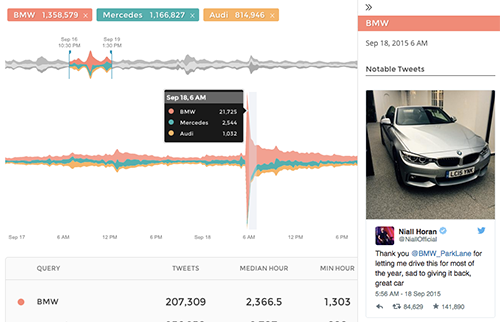 Once you’ve found the right Tweets, you may need to analyze reach, content and influencers. With advanced Echo access, you can generate detailed historical reports for any time period or customize your historical backfill. 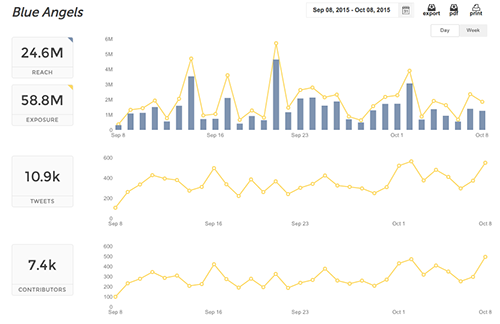 We found Union Metrics Echo to be a very impressive feature with great potential. It’s especially effective at visualizing share of voice on Twitter, providing a very unique advantage as a listening tool. The value of Union Metrics Echo goes well beyond Twitter. We believe every campaign, even those beyond Twitter, can be improved by tapping into the world’s reaction to any event – big or small. Use Twitter data to research and plan your next move. And for the first time ever, Echo is available on our monthly self-service plans! Access 30 days of the Twitter archive with Echo on our Marketing Team plan for just $199/month.